This release contains the plugin feature. 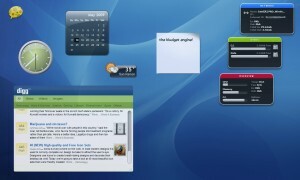 Which would allow widgets using custom plugins to run, provided a Window port of the plugin is available. This screenshot shows the iStatNano running.